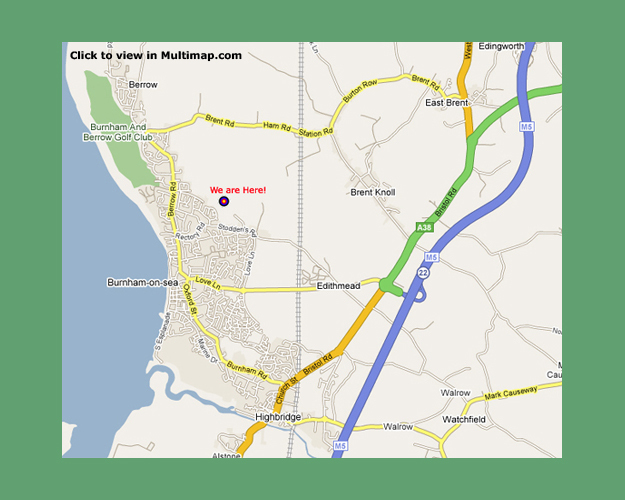 From junction 22 of the M5, follow signs for Burhnam-On-Sea where you will cross the A38 at the Edithmead Roundabout. As you head into Burnham-On-Sea you will pass over a railway bridge. Take the third exit at the roundabout into Love Lane (following signs for BASC campsite). Follow the road through a sharp left hand bend and turn right into the BASC ground. 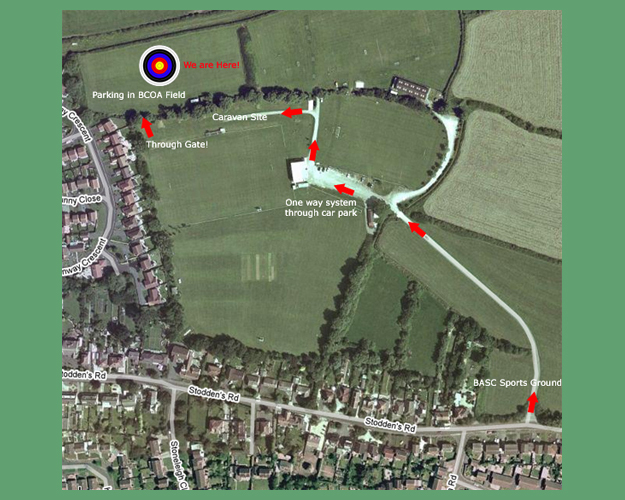 For details on how to reach our field once in the BASC ground, please see map below. Please remember to observe the 5mph speed limit that is there for everyone's safety.